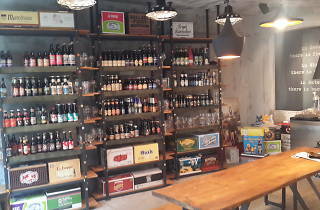 Located on a side street of Gyeongridan, this bottle shop is just steps away from Monster Pizza. 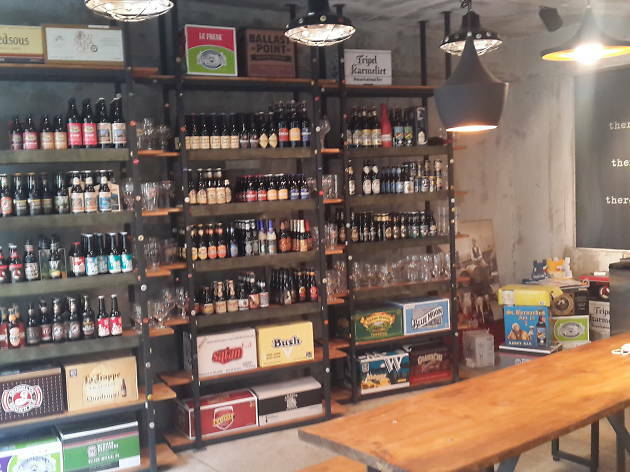 Stocked with all kinds of rare craft beer goods, The Bottle Shop calls itself “the first premium ale shop in town.” On summer nights, it’s the perfect place to chill outside, people watch and have a beer. During the winter, when many people in Itaewon are throwing house parties, it’s the go-to place to stop and pick up party goods. Ales, lagers, stouts, porters and malts are all available in a variety of styles. Even the hard-to-find Stone Crewing Company beer can be found here. When you’re tired of searching for your favorite beer in the local markets, try The Bottle Shop.